Pre-Registration is now open for September! 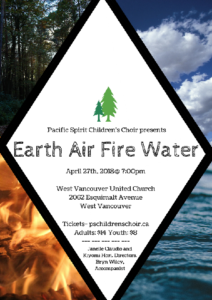 Join us for Pacific Spirit Children’s Choir’s exciting 10-Year Anniversary season! The new term will begin on Thursday, September 13th, 2018, and we would love to see you there! 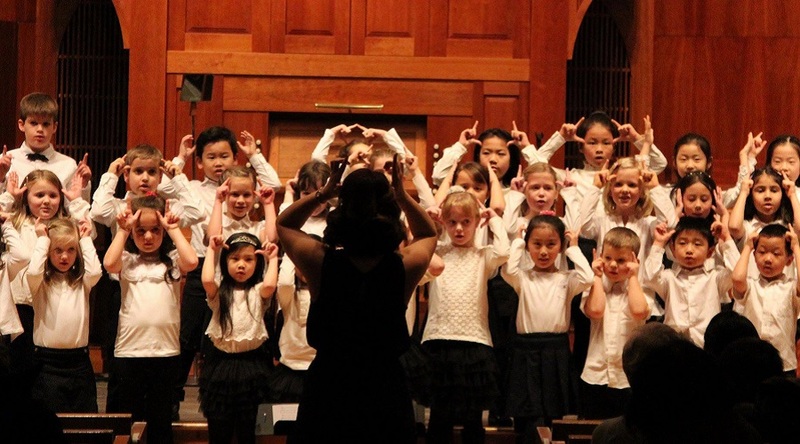 Registration is now open to both new and returning members, and we are accepting singers in grades 1 through 12. Registration will be open until Thursday, October 4th. Register for the 2017-2018 season here: REGISTER or contact Janelle and Kiyomi at office@pschildrenschoir.ca for more info. 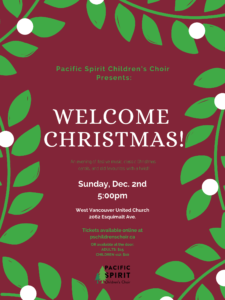 Join the Pacific Spirit Children’s Choir family for an evening of festive, inspirational, and joy-filled music as we celebrate the holiday season together! From traditional carols to seasonal classics, these young singers are sure to get you in the holiday spirit! Our upcoming season is starting up again on Thursday, September 14th, and we’d love to see you there! Registration is still open, and we will be accepting new singers, grades 1 through 12, up until October 5th.